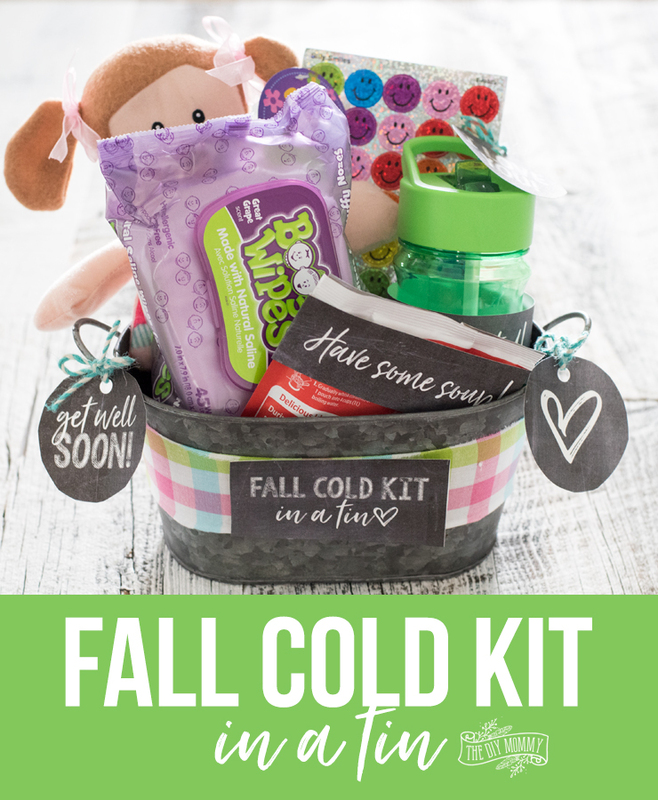 It happens every Fall without fail – the dreaded back-to-school cold season. We’re already in the thick of it this month, and it’s no fun at all! 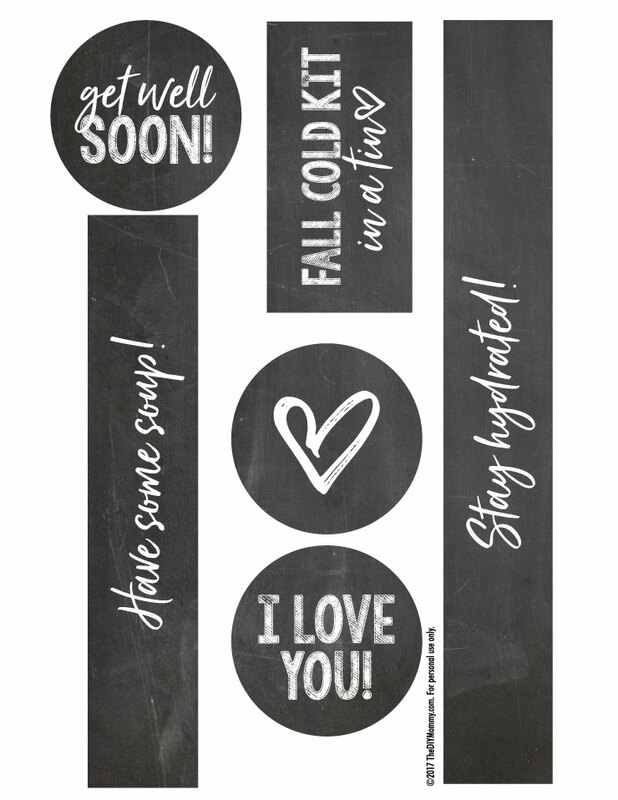 After enduring several Fall cold seasons with my 3 girls, I’ve found there are a few things that really help us make it through. 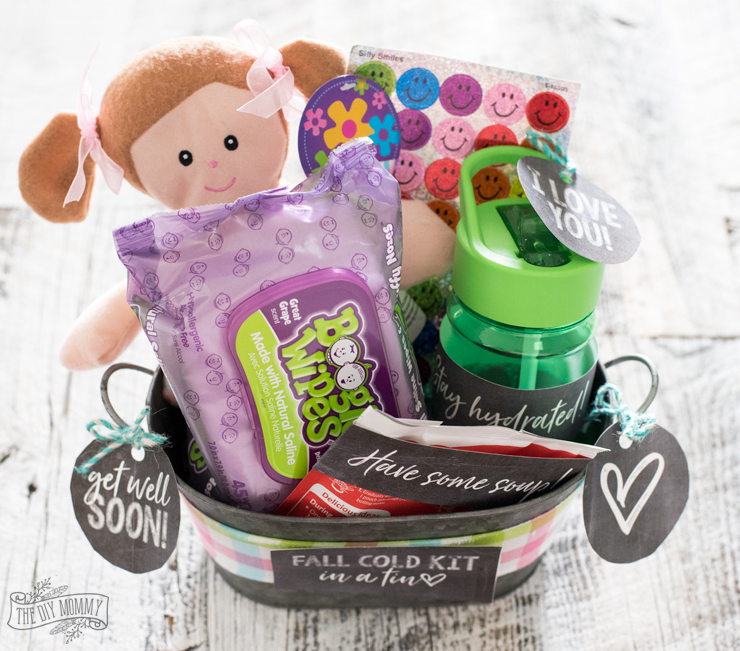 Even better, I’ve come up with a cute & simple way to put a few comfort items together for my girls when they’re experiencing their Fall cold. 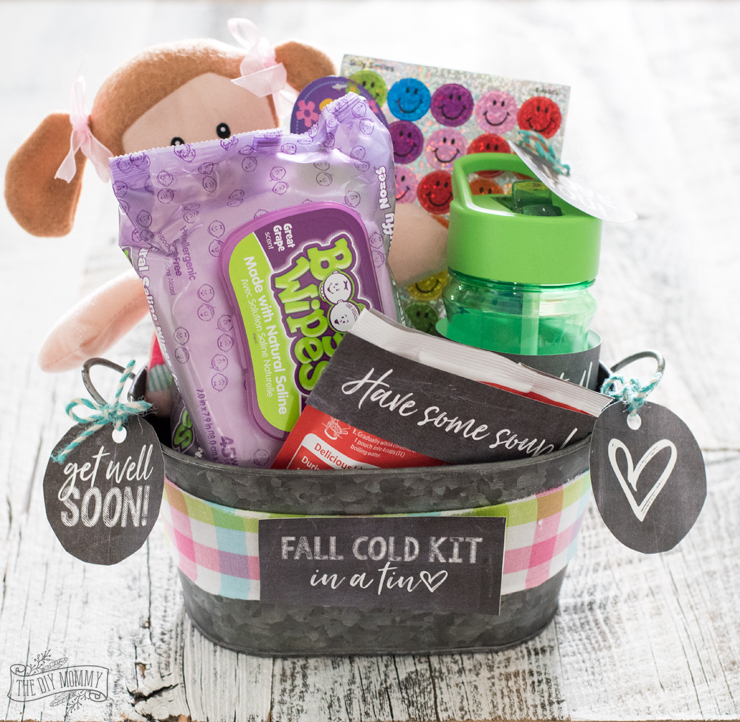 With the help of Boogie Wipes, this cute Fall Cold Kit in a Tin is a great way to help your kids feel better when they get their next cold, too! 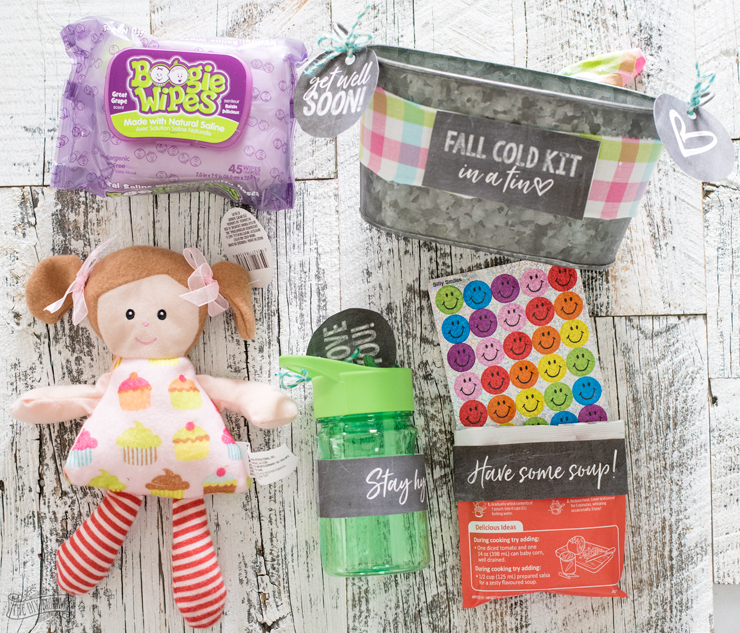 A little “gift” like this can make your little one feel instantly better when they’re hit with the dreaded Fall cold. 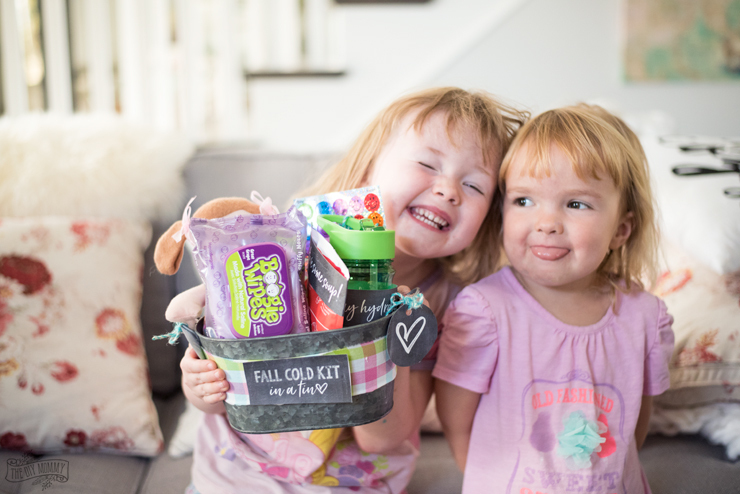 It’s a great way to make them feel special and give them things that will help them feel better in a fun way. 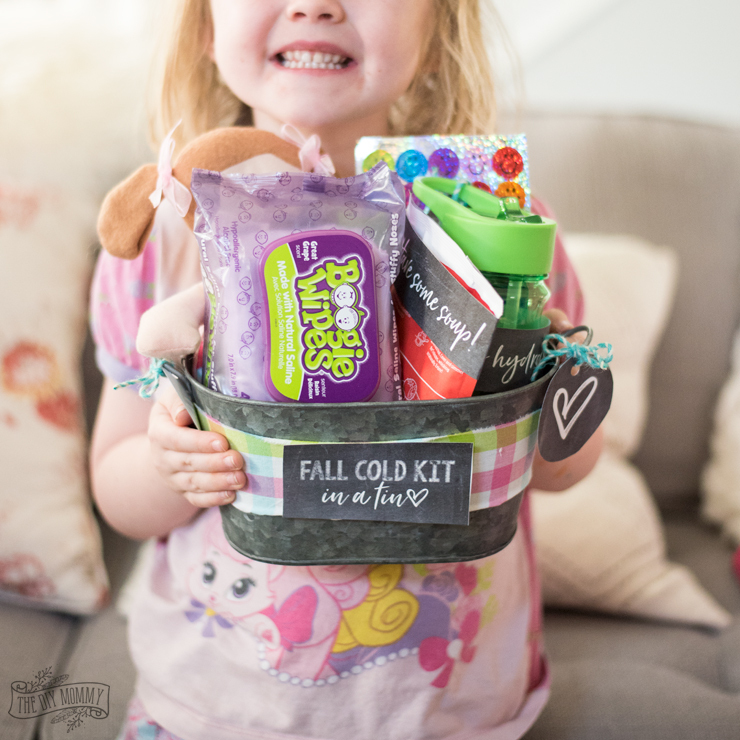 Simple collect all of your items, print my free Fall Cold Kit in a Tin labels, place the items in a tin, and decorate everything with the free labels. Present the “gift” to your child the next time they get a cold or flu and help them rest & use the items to feel better. 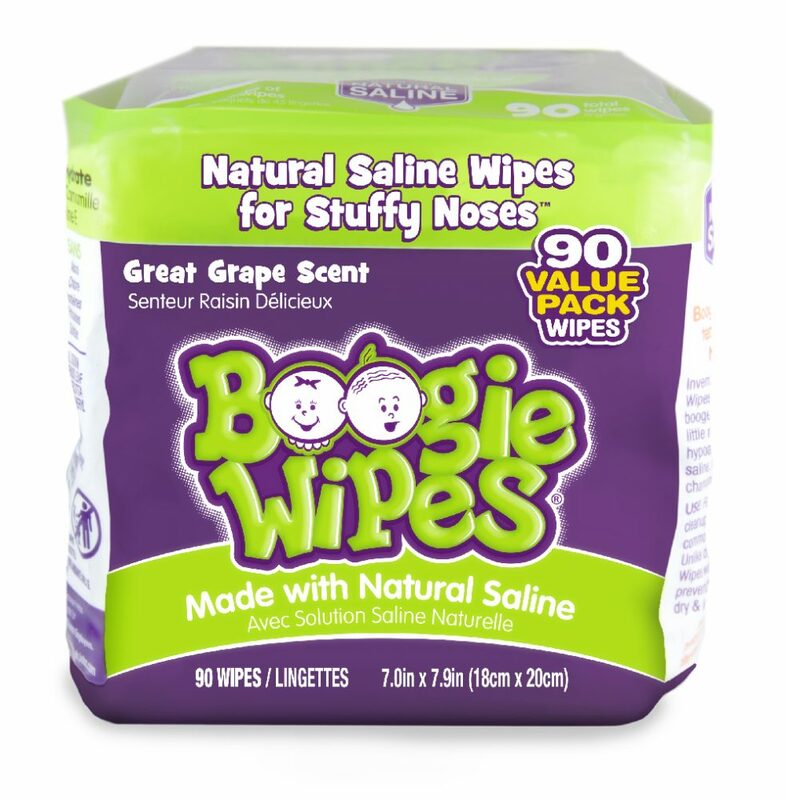 We’ve been using Boogie Wipes for years now instead of regular tissues. I love how they don’t aggravate my daughters’ sensitive skin and how they’re made with natural saline that dissolves mucus. Plus, we love this yummy grape scent the best! You can find Boogie Wipes for your Fall Cold Kit in a Tin AT Walmart, Loblaws and Real Canadian Superstore. Want help preventing nasty colds and flus in your home this Fall? To keep germs from hitching a ride on your kids, Boogie Wipes has come up with this handy guide of helpful tips. Disclosure: This post is sponsored by Boogie Wipes . As always, all of the opinions here are my own. Thank you. You do feel miserable and receiving that something special makes it a little bit easier when you are sick. Love this! Where did you get your tin from? What is the size?